When we received this at Recoverworld Towers, it came as no surprise to find out that Vince Schuld was already on heavy rotation with Rich Solarstone and his Pure Trance brand. Love in an Airport is what we like to call good old fashioned proper trance. Beautifully crafted melodies that permeate your mind and hypnotise your soul. A masterclass in trance at its very best!!! 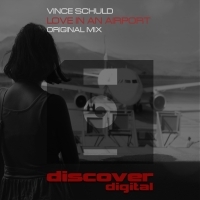 'Love in an Airport' is available now from Beatport and iTunes.